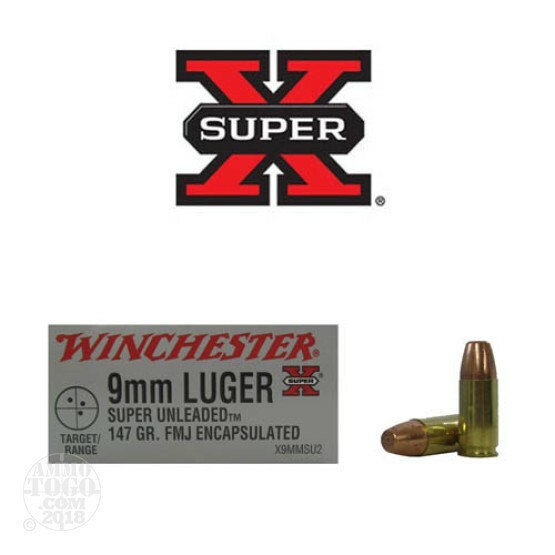 This is 9mm Winchester Super-X Super Unleaded 147gr. Brass Case Full Metal Jacket Encapsulated Ammo. This a sub-sonic target or range round. This ammo is new production, non-corrosive, in boxer primed and is 100% reloadable. Winchester ammunition plus an affordable price equals good shooting sessions. This ammo comes packed in 50rd boxes and 500rds to a case.